Recently, more and more businesses have been coming to terms with just how important it is to ensure that employees are kept happy and satisfied at all times. Although a bit of conflict can be completely normal, no one should dread coming in to work each day and feel like they aren’t a valued member of the team. With this in mind, there are many simple practises that a workforce can carry out in order to make sure that every employee has a voice that is heard. When it comes to technology, it may not be the direct cause of happiness, but it does certainly help the process. When a person is stressed, they immediately see red and find it hard to think positive thoughts. A lot of workplace stress comes from feeling unorganised; meaning it can be prevented. HR software makes this possible. With the use of HR software, a business can keep on top of employee matters and view everything from one dashboard. HR software saves a business time, effort, and most importantly; stress. Using technology to keep everything in line really is a way of the future and more and more businesses are implementing these tools every day. To keep your business running in this high-paced environment, it is vital that you welcome new technology with open arms and embrace it’s advantages. Many businesses find themselves stuck in traditional ways and feel put off by advancing in to the big wide world of technology and software. However, these tend to be the businesses that end up falling behind and let competitors steam ahead. Once in full swing of things, you will soon find that there is simply nothing that technology can’t do. It is there to help you, make your job easier, and keep you organised throughout stressful times. What more could you want? If you’re wondering how you can combine technology in order to achieve a happy workforce, then you have come to the right place. This infographic has been created by Cezanne HR and aims to shed light on how businesses can benefit from happy employees. To put it simply, positivity at work benefits your productivity, mental health and overall life satisfaction greatly. Many tests have been carried out to prove this, and the results are all in this infographic. 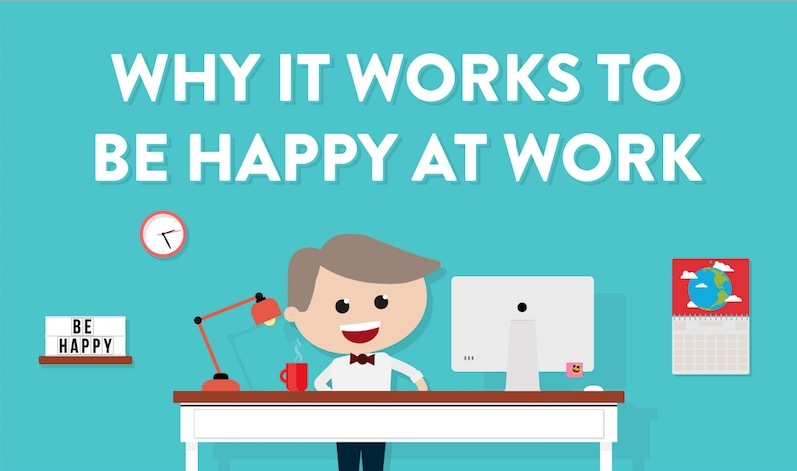 For more facts based around the happiness of employees, this infographic will enlighten you on all you need to know.